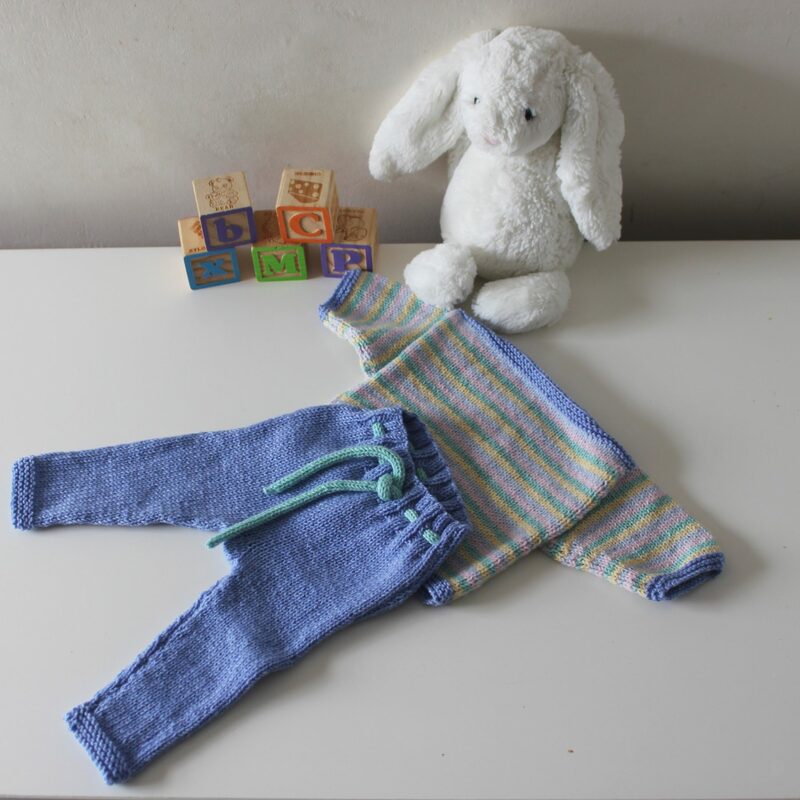 Pure cashmere baby trousers/leggings designed to match Tutti Fruity jumper. 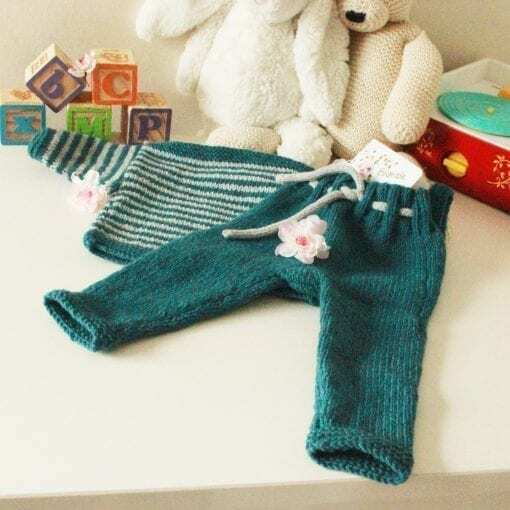 Pure cashmere baby trousers/leggings designed to go with Tutti Fruity jumpers and together they make a gorgeous set. 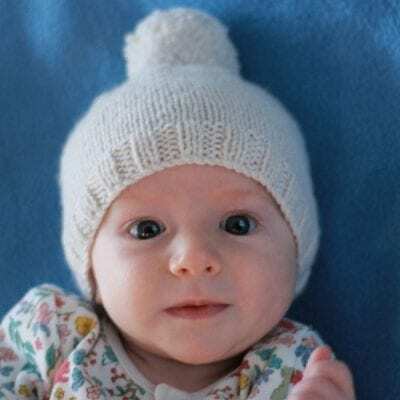 The pattern has been written for knitting in the round, and for knitting flat, and they have been designed with a larger back to fit over a nappy. The y have a ribbed waistline with holes for a ribbon, or as I prefer – a cashmere rope. Designed specifically with Di Lusso pure cashmere.